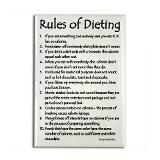 If you have been around the fitness or diet industry for a while you no doubt have accumulated a lot of rules about how to eat and train. Rules such as, "don't eat past 7pm", "wait at least 48hrs before training a particular muscle group again", "hardgainers should only train 2x per week", "use light weight and high reps to tone" and "don't squat deep - it is bad for your knees" are common language in most gyms. (Okay, now I'm inspired to look at each of these "rules" in future posts). While sound training guidelines are important to guide you to your training goals, blindly following "rules" about training can do more harm than good. The problem with these rules (especially in our information age) is that we lose sight of where they came from. Are they based on sound training principles that have worked for thousands of trainees in the past? Are they validated by quality scientific research? Are they something that worked well for a small handful of people? Are they made up to promote a product or supplement? Are they something that has just been said so many times that people accept it as fact without questioning its source or validity? These rules create extra, unnecessary mental stress when making training decisions. They get us sweating the small stuff while losing sight of the really important principles of training. They get us not doing things that can be very helpful for us and doing things that can harm us. Always evaluate the effectiveness of your training based on your health, your body composition and your performance. If these are not benefiting from your training then that training is wrong for you! Things like "I like my workout", "that felt good", "I was really sore the next day", "what a pump" can be natural byproducts of productive training, but they do not guarantee that you are actually making progress. Allow me to use myself as an example. 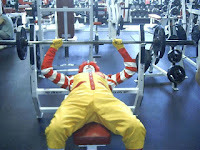 If there is one question I have always hated being asked, it is "how much do you bench?" Yes, I know the bench press is considered the measure of manliness, the standard of studliness and your ticket to a traffic-stopping physique, but it has just never worked right for me. I have spent years trying to make it work. I have tried virtually every variation and technique styles ranging from the bodybuilding style to powerlifting. My first exposure to bench pressing was on the old universal multi-station gym of my high school's tiny weight room. I built a false sense of strength as I watched my machine numbers sore. I remember trying a real bench press one day (after all I could easily do more than that weight on the machine) and got stapled to the bench. When first took a course to become a trainer I was given the "rule" to never go lower than a 90degree elbow bend with the bench press. So, I blindly followed this "rule" and did half bench presses with my elbows flared. Just so you know, this is not a bench press and no one who presses like this is allowed to brag about how much they can bench - I think that's a good rule. This technique did allow my numbers to climb a bit. However, dumbbell bench pressing was really the only form of bench pressing that worked for me for chest hypertrophy. Also, this flared position bothered my shoulder as the weights got up. Finally, I learned about powerlifting bench press technique. This allowed me to use a full range of motion that was better on my shoulder. However, it still over time created shoulder problems for me and it still left my bench press stalled while my other lifts improved. Finally, a few months back I decided to drop the bench press - maybe not for good, but at least for a while. Instead, I substituted the bench press with dips. Now, the general "rule" is that dips are bad for your shoulders because they place the joint in hyperextension and anyone with shoulder issues should not be doing dips. However, after reading Strength Coach Josh Bryant praise dips in his excellent book "Powerbuilding" for not only its muscle building potential (which I knew), but also as alternative for those who can't bench press due to shoulder trouble, I felt like it was time to experiment. I replaced bench press with dips. To make it even easier on my joints, I did the dips with blast straps or gymnastic rings (for a video of blast strap dips click HERE and for more information about the benefits of ring training click HERE ). 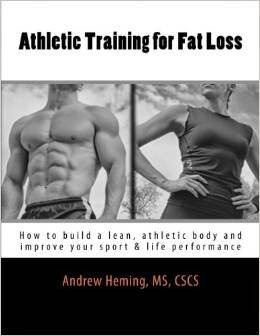 At the time, I was doing a strength-focused whole body program that had me pressing (i.e. standing overhead barbell press) and dipping 3x a week (there is probably a "rule" about that being too much). Now, please don't misunderstand me. I'm not trying to be one of those trainers who "outlaw" exercises. I think the bench press is a good upper body strengthening exercise for many people. I'm also not recommending those with shoulder issues do dips - I think dips are a risky exercise for some people (click HERE for more info on dips). I'm still reluctant to use dips with athletes who have shoulder issues or who play an overhead sport or a contact sport that places a lot of stress on the shoulders. If you have shoulder issues, get them diagnosed and fixed and then find what works for you. I simply shared this personal account to illustrate a point - find what works for you! Please allow me to steal a line from Dr. Phil McGraw (I think - can't say for sure because I don't watch his show) - when it comes to your training, keep asking yourself this question, "how is that workin' for ya?"